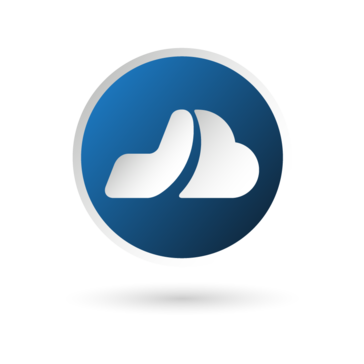 Docsmore is a cloud and browser based document management solution designed to be easy and intuitive to use with minimal user training. "Go paperless YAY! with awesome search capabilities data within your document." There is nothing to dislike about Docsmore. Its a win-win for everybody. We have quite a few internal processes that needed a lot of document creation and needed to maintain the changes every time they were touched. The storage was getting to a point where it was hard to maintain as well as hard to search for the documents you were looking for. After using docsmore, not only we were able to solve our problems but we were also able to automate our processes. We are going to integrate Docsmore with our internal application soon. Law firms have traditionally handled a ton of paper, but our law firm is trying to differentiate ourselves by becoming paperless. We have the same basic issues as other industries going paperless, but what impresses me about Docsmore is the long-list of features that solve unique issues for us. Even more impressive is Docsmore's track record of continually adding new features. The downside to being an early adopter of new technology is that we occasionally have to explain how Docsmore works and defend the enforceability of electronically signed documents. That is happening less and less as the legal industry and business world evolves. We are trying to increase our efficiency when getting documents signed. Not only does reducing paper help us save on storage costs, but the workflow features helps us speed up our document generation and execution process. Therefore, the real savings for us is the time spent on documentation, which is a cost-savings to our clients. What Document Generation solution do you use? Docsmore makes management of all my reports and official documents really easy. It is very easy to set up and use, as you can just log in to it through your google or facebook account. Another really helpful functionality is that their form integration is really good, so you can specify whichever field you want someone else to finish and then send the document to them and they can edit that. It is also really easy to import tags here. It has very limited support for JSON, however, for simpler file formats it is easy to use. It also does not allow multiple users to be added up on the same account, so working in a team is difficult through this. I would recommend your organization to give it a shot for clod based document storage and management. I use it to generate reports and forms. It is definitely easy to use and access. It has helped me greatly with document management. We appreciated you signing up for the free trial today and giving us a review already. I do want to ensure that you are aware that we do allow multiple users - it is managed by adding # of seats on the dashboard or under global settings - plans and usage. In terms of support for JSON, I would look into https://www.docsmore.com/sdk/ and sign-up for our developers account. We would be happy to assist further for your needs. Let us know how we can further assist you and your needs. Once again, thank you very much for your review. "Docsmore Saves Our Company Time and Money"
The price and ease of use are excellent! The fact that we have taken numerous steps out of most processes because we utilize Docsmore is a win all around. We have been continuing to improve as we apply the tools further within our business structure. For example, we now allow new customers to sign up and sign our contracts directly on our site with an easy click of a button. Nothing, Docsmore has improved our business in numerous ways. If you are still using paper for your documents, contracts, sales agreements, etc you look out-dated. Make your life easier, save time, save money and communicate with a great tool. This is great for start-ups, small businesses to large enterprises. Great pricing, award-winning and trusted. Do yourself and your business a favor and check it out. We save time and money (paper & ink are expensive) with all of our documents. The biggest impact is the fact that we look great to our customers and communicate with them more effectively. The fast, seamless process of sending our contracts to clients; It is faster, easier for our clients/team as we do not have to print, scan, copy or email paper and neither do our clients. We have improved client satisfaction and increased sign-ups/renewals. The document storage and the CRM is a life-saver. The fact that it is all compliant and trusted are key necessities in our business. "The best program that you never knew you needed!" Creating online fillable PDFs is effortless! I love that I can change information on the form, yet still use the same online link. I cannot think of a single thing I do not like about this program. This is the program that you don’t even know that you need! If you need for a client to be able to fill out a PDF online and submit the form securely, this program is for you. I handle sponsorship development for a large professional association, and manage sponsorship for over 50 events a year. Docs more allows me to customize sponsorship forms for every event, and then allows my sponsors to complete and submit the form online effortlessly. I can make changes to the sponsorship form as events are claimed and still use the same link throughout the planning process. "Paperless is my new jam!" I love that you no longer have to print a hard copy and have to either mail to client or worry about finding a good time to meet up with them to have it signed. Not much to dislike about docsmore. There are so many great features to learn. Great thing is they offer a free demo to show you how it works! Try them out and you won't regret it! If you have questions their customer support is top notch! We can easily have clients sign up and have been using the forms for volunteer sign ups. We can easily send the link & generate a spreadsheet without having to manually enter in the info. And it looks great while doing it! "Paperless Document management with Awesome Customer Service"
I upload all my tutoring and assignment related PDFs to Docsmore so that Docsmore converts it to its own format and helps me edit them so that I don't have to go through the hassle of converting among word and pdf formats. Saves me a significant amount of time and money. Whenever I have to work on the same report with my mentees or tutees, I use the collaborate option so we can all edit the document simultaneously. My favorite feature is the option to identify options within the document to make it interactive. Docsmore helps make my job as a tutor so much easier because of all options so I don't have anything that I dislike about it. I strongly recommend Docsmore because of its practical application. Most of the times you will use PDFs for sending documents and they are very expensive to modify or edit. Docsmore helps with that so well that you won't need a pdf editor either. The collaboration option is great for working on group projects and teams. I use Docsmore for real-time collaboration to save my tutees and mentees time spent on emailing each other. All my time-sheets and assignments go straight to Docsmore so that I can make them more interactive and useful that a plain pdf. I love that we save so much paper and printing costs. I can upload my documents and docsmore converts it to their own format. Docsmore make my uploaded documents interactive and helps me save money and time which I would've wasted on buying a license of a pdf editor. I can invite my team to edit my documents by sharing it with them. I can also organize my documents better with the archive option and also the way they present my saved documents. I haven't found any issues with docsmore yet. I'll keep this review updated. I would recommending docsmore and using the trail version well-enough. I hope docsmore convinces you to buy their premium version. My strongest recommendation is for academic users because they usually suffer from lack of funds as compared to big industries or professional users. Document management, pdf editing, team-collaborating, saving money on licenses etc. I know that there is an academic edition too , I wish I had this back in college. "5 stars all the way"
I was just starting a new business, and that is the best time to change and update processes. That is when I decided to give Docsmore a try. 4 months later I run all my agreements through Docsmore, invoicing and payments through their system. I love how easy it is to upload and modify PDF documents for business agreements. Now before you flip on cost, I will tell you it costs less than a cup of coffee at Starbucks twice this week. No seriously it is the most time efficient, cost effective way to go paperless. I actively work to share Docsmore with the medical offices, and nonprofits I work with to help them save time and money on data entry. No one likes paper cuts or headaches from deciphering someones poor handwriting. Last thing I love about Docsmore is they are always looking for ways to improve functionality in their platform making it more and more user friendly over time. I can't recommend them enough. I wish it had more payment portal options like Google Wallet or Square. For me it solves the proposal process hang ups that most consultants run into. I have now templated out my proposals and can easily pop in make minor adjustments and then send them on and not worry about legal jargon as that is all in the template. Saves me time which as a business owner saves me money! "Online PDFs simple and cost effective!" This is a easy to use system that allows for us to take existing forms and make them easily used online. As a non-profit getting larger programs that due many thing we don't need was not an option due to cost. Docsmore offers personal service, customization to what we need and a price point that we can afford. Plus we get great service for the owners! They are always a quick e-mail away when we have a question or want to do something new. The system is so easy that some of our less tech savvy staff can use it. Love that I can have the final PDF sent to more than just one staffer so everyone gets the info they need ASAP! As a Mac user at home there are some limitations that I have to go back to my work PC to fix. There are still a few things that are not as intuitive as I would like, but those more complicated set ups but Bobbie is always available to answer questions! We struggle with our general registration software is not user friendly online and has very online limited capacity keeping us for offering some programs for online registration. Docsmore has solved that problem by allowing us to get all the info we would if someone registered in person but online increasing registration and volunteers! I love how easy it is to create custom forms, especially using our existing forms that are in PDF or Word format. Docsmore could not make it simpler to create the forms and then get actionable data when our prospects or clients fill those out. Nothing! Their support is phenomenal and personal, and they continually listen to their customers in building out improvements to the product. We've streamlined a massive amount of forms that we used to send out for regular signatures. It has improved our employee onboarding and client sign ups immensely. "Make It Easy On Your Clients!" Ease for customers to complete documents. Greatly increased the number of documents we are getting completed from members. We are still having to print many of the documents to file and input, rather than having automatic input options, such as the data automatically uploading to excel. This is easy to use software with excellent customer service. You'll notice quicker turn around on document completion without the need of constant follow-up. Never worry about requiring your customers to print, sign, and scan forms again! Docsmore has enabled us to allow our members and potential members digital forms, which has been greatly appreciated by members. We've noticed an increase in receiving documents back in a timely manner. We've increased member participation in events and groups because the application process has been made easier with Docsmore. "Docsmore has made my life so much better! It’s saved me tons of time (and money). " How intuitive and easy to use it is! Also the support team and response from the developers is incredible. I didn’t really understand all that the software could do for me at first but I keep being pleasantly surprised and pleased with all that it can do. I highly recommend and can’t wait to see where this company lands in five years. I’d like more in-house education tools! It has streamlined our program application forms and solved the problem of how to effectively manage our forms and documents with the limited time we have available. "Docsmore staff and program have been great!" It makes life so much easier! Saves me a ton of time. Having all our form in docsmore makes every form legible and exportable to spreadsheet which is wonderful! Great Program and Staff! it will save you time and headache for sure which definitely adds up to money! makes all our forms easier for the customer (no more faxing and email/scanning) and easier for the staff because we can read it (not handwriting) and it is stored and easily accessible for staff. Lack of integration with CRM and Zapier which would make it easier to integrate data. Great product for both light and heavy users that need to obtain digital signatures or distribute documents electronically. The ability to quickly sign documents which otherwise would need to be sent via overnight mail. Cost savings in printing and postage. The superior technical assistance combined with the ease of creating the forms makes Docsmore a great tool for our school! At first we could only have two User seats but that has recently increased. Make sure that you communicate which browsers work best. Each school year we send out family packets that have 6-10 forms. The forms often ask repeating questions or for the same information, and with the Document flow feature, you can auto-fill the forms after the first entry! "Very useful and cost effective "
The ability to create a fillable document from MS Word or a PDF and electronically send it to someone and have them fill it out and sign it. Docsmore tracks the entire transaction to completion is a timesaver. We use it mostly for a contract signing. We send our contracts out for review and signatures and we are able to track them through the workflow part of Docsmore, making sure that the right people review it. The ability to quickly send out fillable forms for signature - all done digitally! There is very little to dislike. Any software improvements I've suggested have been quickly implemented by the Docsmore team to address my changing (and demanding) needs. Quickly sending out fillable forms for signature - all done digitally, from the computer or phone. I'm required to offer insurance & get authorization if they accept/reject it I need proof that I offered it. Docsmore allows me to work with anyone traveling in the World that has an internet connection to get my required documents easily and efficiently. "Easy to use and great for collaboration"
I love the idea that you don't have to scan and print. I also like that you can collaborate and everything is safe and secure. I would recommend that you try it out at least and see if it's the right fit for you. Dealing with clients all over the world on one platform. The Docsmore staff are very attentive to our needs. They are always available to help make sure all our documents work correctly and ready to share with our members. Sometimes it's not obvious how some of the features work. We are using Docsmore for event registrations so our members can pay by credit with the PDF registration form. * We monitor all Docsmore reviews to prevent fraudulent reviews and keep review quality high. We do not post reviews by company employees or direct competitors. Validated reviews require the user to submit a screenshot of the product containing their user ID, in order to verify a user is an actual user of the product. Hi there! Are you looking to implement a solution like Docsmore?